Pokemon Go has catapulted Augmented Reality and Location-based games into the mainstream. It’s amazing to experience the intertwined web of reality and fantasy that the game immerses us in. We all know that our smartphones have a myriad of sensors built into them, letting it know where we are, what is around us, whether it’s sunny or rainy – our phones know a lot but the success of Pokemon Go isn’t just because of the capabilities of our smartphones, its because of the narrative, the story, the opportunity to be Ash Ketchum yourself. Without the narrative behind it, none of the capabilities of the smartphone would have mattered. The success of Pokemon Go isn’t just because of the capabilities of our smartphones, its because of the narrative, the story, the opportunity to be Ash Ketchum yourself. When (the team of Motive.io), a group of creative professionals, began their work on CodeRunner, a location-based espionage game for your iPhone, they couldn’t find a tool that the creative members of the their team could use. Unsurprisingly, story tellers don’t enjoy writing if-else conditions. Instead of having to live with workarounds, Motive build a platform that helped their team and others around the world make location-based games and experiences, including the University of British Columbia who decided to use it in a very interesting way. The University of British Columbia wanted their students not only to experience history via textbooks and images, they wanted them to hear history as they walked past the location. 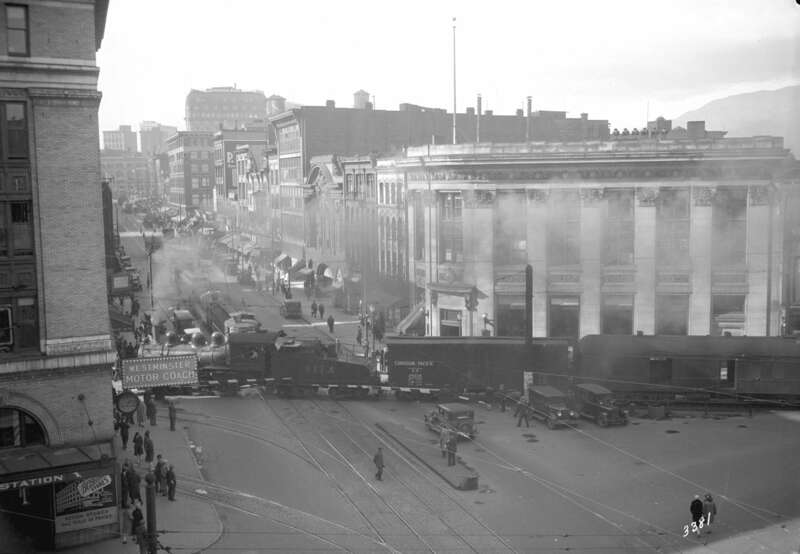 How did the Canadian Pacific Railway influence the evolution of Vancouver? UBC partnered with Motive to create this immersive experience for their students so that they can hear history as well. It’s easy to imagine similar experiences guiding you through the halls of the Smithsonian or the Deutsche Museum, intertwining reality with virtual reality to make the experience more interactive and immersive. The more difficult part is to make it easier for the creative professionals to be able to create such experiences for you and thats where Motive.io comes in. Interestingly, the team behind Motive have already worked on several interesting projects including a Location-based game for Ubisoft titled “Shape Up Battle Run” and a more social project called “JUNGLE-IZED for Times Square” that turned the Times Square into an (virtual) Amazon rainforest with the aim of bringing more attention and awareness about Climate Change. Its going to be interesting to see the market for Location-based games evolve and Motive is going to be a name that we are going to hear quite often!